Hourglass is a capsule-type supplement marketed as a female fat burner. Most weight loss aids that are aimed at women are equally suitable for men. The manufacturers can be forgiven as they have designed and brought a very good product to the market. Hourglass has been brought to market by Propura Ltd. 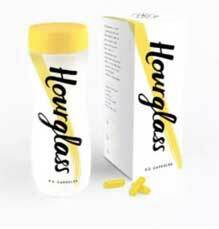 The company is based in London and Hourglass appears to be its flagship product. Propura may not have the same level of experience as many other diet pill manufacturers, but the company has succeeded in building a very impressive website to market their product and it contains a lot of information. The company also appears to have come up with a pretty impressive formulation. The guarana content is on the low side, but we’re not seeing any deadweight. As a first effort, Hourglass isn’t bad at all. Vitamin B6 (4mg): A vitamin that’s added to energy drinks because it improves energy metabolism. Vitamin B12 (10mcg): Another energy drink ingredient, Vitamin B12 has similar credentials to Vitamin B6. Vitamin D3 (1000IU): Clinical trials suggest a relationship between Vitamin D3 and body weight, but supplementation is likely to offer the most benefit to people who are Vitamin D3 deficient. 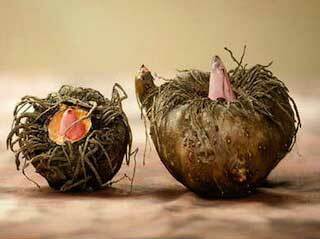 Glucomannan (1500mg): A form of dietary fiber that expands in the stomach to provide a feeling of satiety. 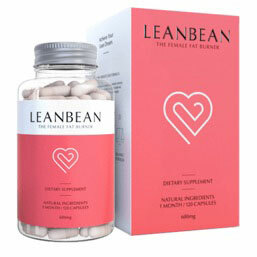 Glucomannan’s reputation as an appetite suppressant is second to none and scientific research proves that it works. Green Tea Extract (500mg): A popular diet pill ingredient that can boost the metabolism and provide fat burning benefits that could last for as long as 24 hours. Capsimax (100mg): A branded capsicum extract. Capsicum is a versatile weight loss ingredient that suppresses the appetite, boosts the metabolism, and encourages thermogenic fat burning. Guarana (100mg): A berry extract that contains caffeine. The main virtue of guarana is it releases caffeine slowly. This can be good for providing ongoing energy. Unfortunately, even the best guarana extracts are only 5% caffeine, so a 100mg dose such as this is unlikely to have a lot of stimulation to offer. Bioperine (5mg): A patented black pepper extract that boosts the bioavailability of other ingredients. Chromium Picolinate (125mcg): A mineral that regulates blood glucose level and insulin secretion, thereby preventing the blood sugar crashes that may lead to carb and sugar cravings. Hourglass is designed to be used in association with diet and exercise. The recommended dose is one capsule, taken three times per day with meals. Propura advises against taking any capsules within five hours of going to bed. Side effects are unlikely, but people who have existing health problems should not use dietary supplements of any kind without first attaining the approval of their doctor. The same advice is offered to people using medication and to women who are pregnant or nursing a child. You can only buy Hourglass from the official website and, although bulk buy savings are available, free shipping is not. The Hourglass website home page states customers can try the product for 90 days and, if they are unhappy, will be able to obtain a “fast 100% product refund”. The sites terms and conditions page reveals this is not so. It states customers are only entitled to a refund if their first order is for three bottles or more. Customers are also expected to prove they have used the product in the recommended way for 90 consecutive days. If they can do this their refund will be less postal costs and a “processing fee”. Although some of the marketing claims Propura make are a little wild, the company has managed to come up with a pretty impressive formulation. All the ingredients have value and should help the product to do the things it’s supposed to do. However, choosing the right ingredients is one thing. Blending them in a way that ensures maximum potency is retained is something else entirely, so the lack of customer reviews is discouraging. We also have concerns about the money back guarantee. The terms and conditions page suggests customers who are unhappy with the product could have a fight on their hands if they want to get their money back. 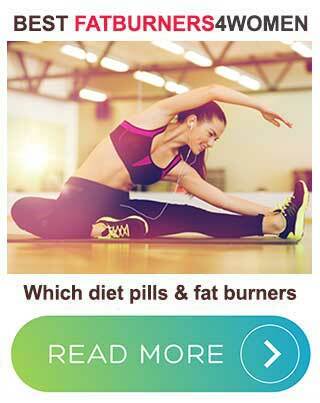 All the top diet pills for women have good customer reviews and no quibble guarantees. Although, Hourglass appears to have what it takes, at this stage in the game we cannot possibly recommend it. However, if a reasonable amount of positive customer reviews become available in the future, and suggest the formulation works, we will amend our Hourglass review accordingly. The formulation is also designed to reduce sugar urges, so it’s good for keeping hunger levels under control. 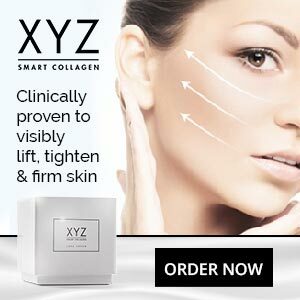 It also has ingredients that can control estrogen production and reviews written by menopausal women suggest the formulation works like a charm.